February is a stirring month. Or, more accurately, a month of stirrings. Eyes closed, face to the sun, tucked into a sheltered tree trunk or backed by a building’s corner-nook, I find a blissed-out few minutes, where the blush of warmth spreads over me, along the folds of my scarf, even, finally, to my feet. Heat is the seed of dreams. And mine are of summer and its elastic days. Yes, I/we bow to the intervals of onslaught, the storm also stirring to our southwest. But already, it’s clear the warm will win, already it’s clear that the future is light. So much to do- for that I am thankful. Gratitude is much on my mind today, and part of that thankfulness goes to you, a reader, on occasion, or in sequence, of this blog’s skein of posts. Over these 4+ years and 100,000+ words, I have written for you. And in doing so, again and again I’ve encountered the serendipity of learning more as I write – more about what I see and find daily, more about what lies in the folds of the world, more about Henry Thoreau, whose spirit and wide, wild intelligence stays with me like a third parent’s presence. I send on these thanks now, because my current writing work suggests that I stop writing here on the Roost and focus on the book I’m completing. It’s about search and rescue in NH’s White Mountains (working title – On the Edge Of Elsewhere – Searchers and Rescuers in the White Mountains, University Press of New England, spring ‘18), specifically about the people who do this saving work. And so it’s about mountain altruism, a spirit and practice that runs directly counter to our always-problems of greed and selfishness. It is hopeful work; they are hopeful people. Even in the face of difficulty and tragedy. 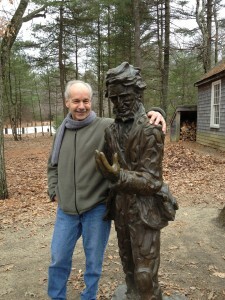 And yes, Henry Thoreau’s a presence there too: his 1858 wanderings on Mt. Washington appear as a primer on how not to get lost, or stay found. Part of the pleasure of writing to and for you has been this feeling of starting afresh, of beginning again and again. Part of the pleasure of saying thank you lies in a sense of its being another beginning. Scene from a November visit – choosing. Thanks, Sue…yes, Henry caught in midstride, and so I could keep up, for a bit. Thanks for your words and for reading, and for always looking forward, even as you know so much of history’s lens too. Your writing always brings me back to what is important. Good luck with your book. Thank you, Tom; here, in Maine, as we await our next storm, it’s good to get your note. May the spirit of Henry remain with you as you begin another path in your life’s journey. I will thoroughly (no pun intended) miss your writing in this column. Your words inspired me, provoked my thoughts, and and even made me laugh or cry. Know that your written presence will be missed by many readers. Thank you, Donna, for your generous note. I imagined and hoped for such a reader. I hadn’t expected to feel quite so much loss at stopping, but here it is. Which tells me how glad I am to have written over these years. Thanks, Ashton…for your note and for your contributions as well. 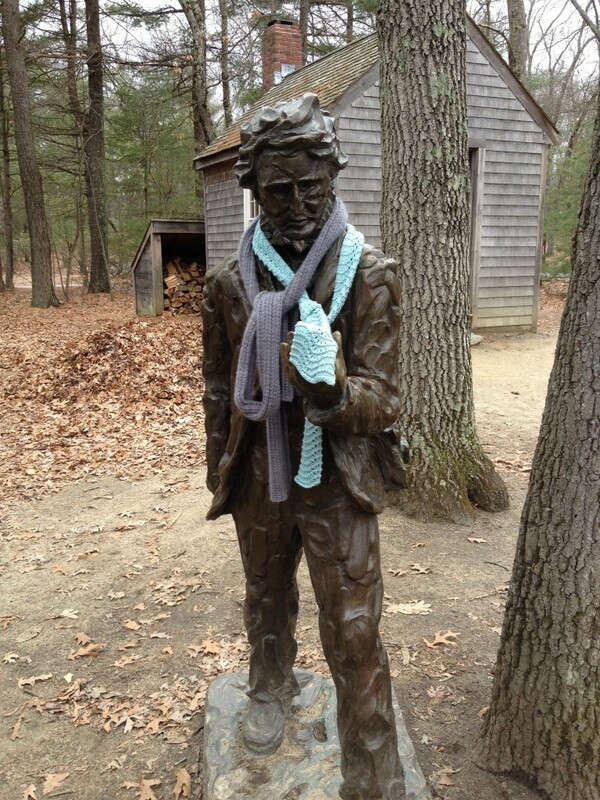 Walden as state of mind is surely so…so many Waldens as readers scatter to their lives, so much ‘waldening’ done and to do. 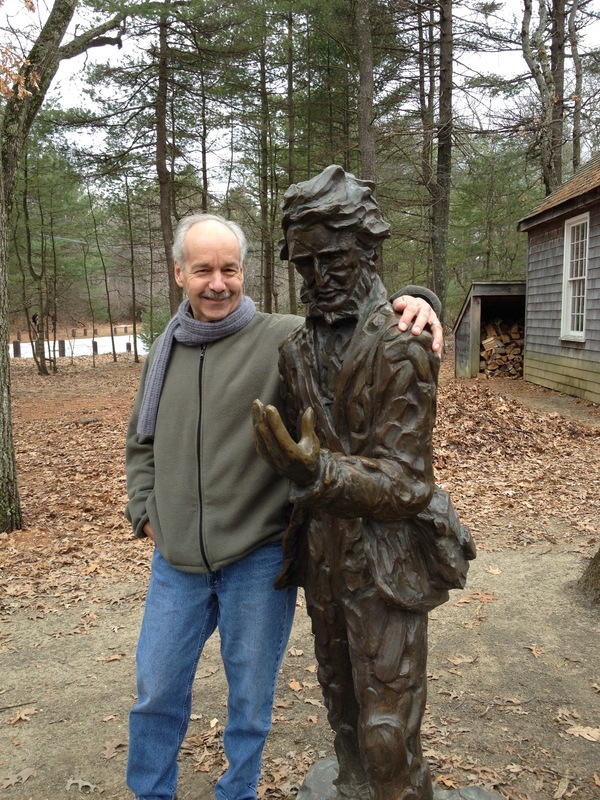 Part of the personal magic of getting to write this blog and teach Thoreau’s writing stemmed from doing so at, and sometimes in, the site of it all. And then we all dispersed with that within. “How do like’waldening’?” “I don’t know; I’ve never ‘waldened’!